“Joe Elephant”? Yes folks, once again the names have been changed to protect the innocent. Yes folks, Not The Official England 2014 World Cup Song has finally gone live on iTunes, Amazon, Spotify and other online shops and streaming services. Typical me: I not only missed the start of the competition, I actually managed to miss the end! It’s probably for the best, in a way. At least my song is not forever associated with England’s worst World Cup performance since 1958. And I can always reuse it in two years time, provided we actually manage to qualify for France Euro 2016. 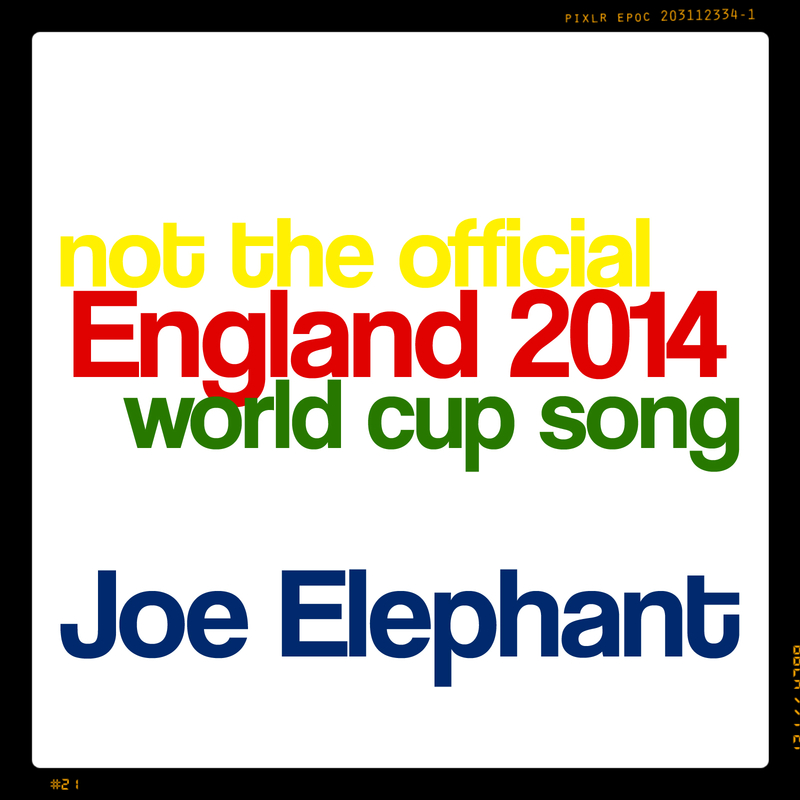 This entry was posted in recording and tagged 2014 World Cup, England, Gary Stewart Smith, Joe Elephant, Official England 2014 World Cup Song. Bookmark the permalink. Maybe you need to bite someone to get this played?